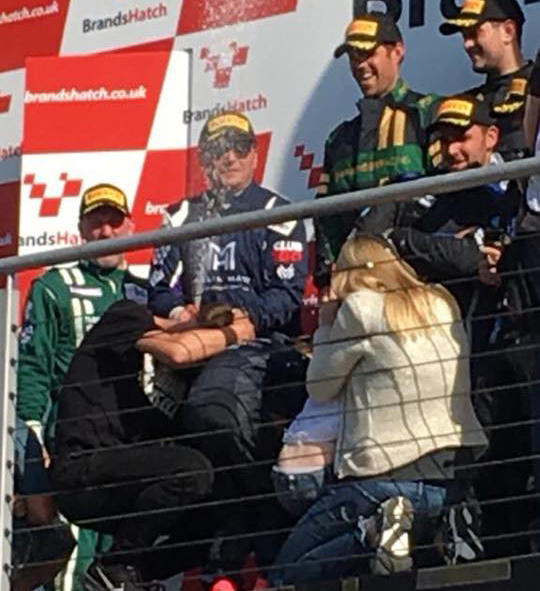 After an eventful first race of the season in Britcar a couple of weeks ago, David Holloway arrived at a very sunny Brands Hatch at the weekend (19th – 20th May), with an even greater hunger for success in his GT Cup debut. Chelmsford-born Holloway, along with his teammate Piers Johnson (who originally introduced Holloway to motorsport) accomplished more than they could have hoped for at the Kent based track, claiming victory twice along with a second place and a fastest lap. The first qualifying session at 12:30 on Saturday saw Holloway qualify second in class. Holloway raced on his own for both of the races on Saturday, further impressing, finishing in second place in the first race but more excitedly, Holloway claimed his first ever victory in the second race, comfortably finishing just over 14 seconds ahead of second place. Also, to add to his success, Holloway achieved fastest lap in the second race. Sunday’s race saw Holloway share the drive with his teammate and good friend, Johnson. The pair qualified in second place – ready to claim another trophy in the final race of the weekend. The race got underway at 16:14, still in very warm and sunny conditions. It was quite the battle, as Holloway was continually chasing the race leader. He was ensuring that he maintained his pace throughout, never losing sight of the leader. A super speedy pit stop and driver change of 1:36.428 (quickest pit stop of the race) on lap 16 meant Johnson could continue to look at chasing the leader, eventually catching up when the race leader took to the pits for their driver change on lap 24. On the leaders out-lap; the number 15 car driven by Johnson was just under nine seconds behind. Johnson tightened the gap on the next few laps and grabbed the lead on lap 30, going on to claim their second race victory of the weekend. 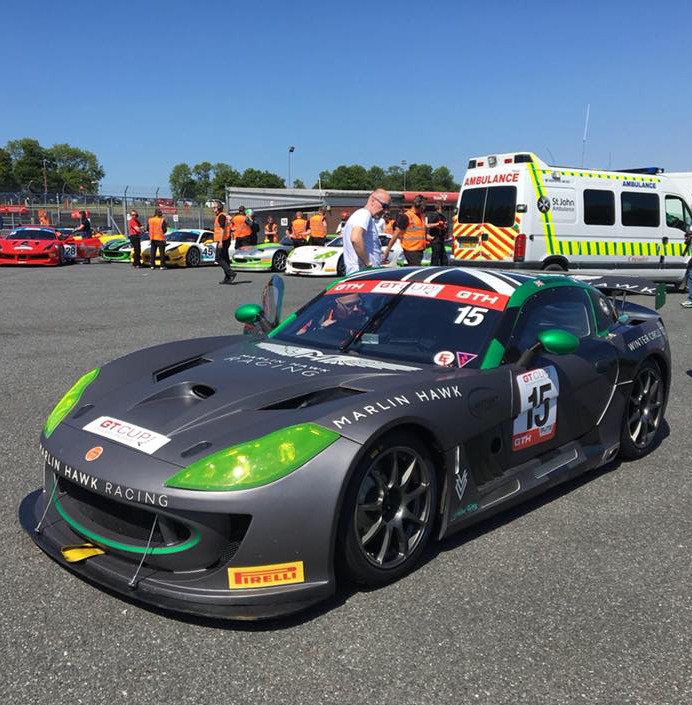 It was definitely a weekend for the drivers and the team to be proud of and they all hope to repeat their success at the next round of GT Cup at the Belgium-based track Spa-Francorchamps, on 1st – 3rd June. “What an awesome weekend! First race in GT Cup, achieving two wins and a second place at the legendary brands hatch GP is an ambition released. The fact that it was with my great friend (who is also the guy who inspired me to race) makes it even sweeter. “What more can you wish for? – The famous Brands Hatch GP circuit, great weather, two wins and a second. I’m very proud that David was able to win his first race in the sprint, all on his own and then to share his second win of the weekend in the endurance was very special. To take David from a novice to a podium finisher and then onto a winner is a great feeling, always knew he was capable, but some people never win a race in years of trying. “What a stark contrast from last weekend! So happy to be a part of this journey with David. He is improving every time he gets in the car and to claim his first win this weekend is very special. Both David and Piers did a great job this weekend, and the boys in the garage did a good job to give them the car they needed to get the victories.